Choose 5k Race or Family Walk on step 2. LH Community Supporter--I just want the shirt! 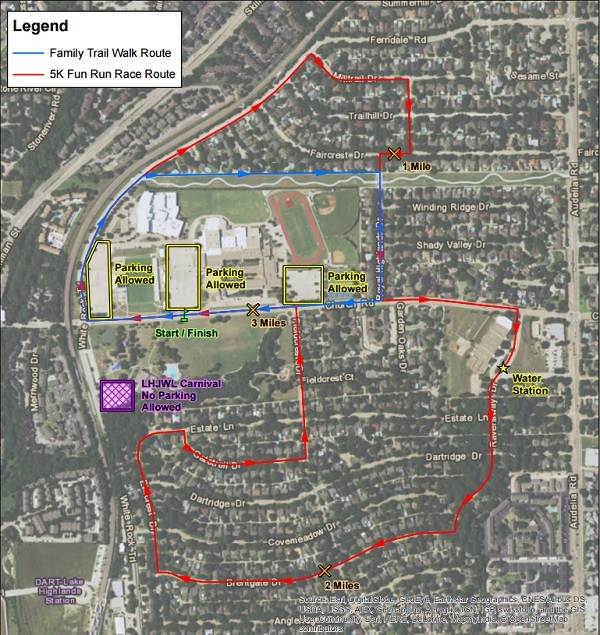 Click here to view a map of the NEW 5K certified course. We also have a new Family Walk path along the Lake Highlands Trail in our neighborhood. Use this link to view a map of the Family Walk with Parking and the 5K course too. Please attend Packet Pick-up Friday, April 28th to ensure you receive t-shirt. Top overall and masters male and female finishers. When this page loaded, the official time was 10:16:20 PM EDT.